As a little boy I often watched my mother take out her metal jewel box to fish for the jewels she might wear that evening for a concert or cocktail party. 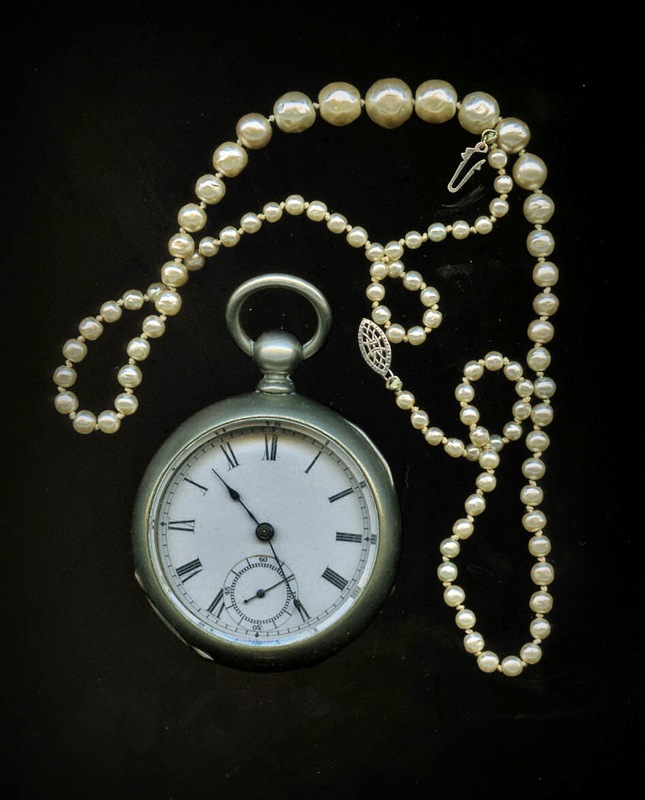 One of her favourites was this string of pearls she called “my baroque pearls.” She made baroque rhyme with rock. She did explain that they were so called because of their irregular shapes. It has only been in the recent years that I have come to understand their significance. In fact baroque comes from Spanish and Portuguese and the word is used to describe irregular shaped pearls. In trying to explain why someone in the 19th century (so violinist Marc Destrubé told me) would have called that musical period beginning in the 17th century and roughly ending with the death of Bach in 1750 as the baroque period I have had some internal questions. I have grasped at the idea that baroque meaning not smooth or predictably shaped might describe the church altars of the age and in particular those of the Catalan architect José de Churriguera whose churches were sometimes given the name of Spanish Rococo. I saw many churches in this style in Mexico not knowing of their connection to the baroque period. It was in such a church in Mexico City that I first heard the music of Girolamo Frescobaldi back in 1962. I grieve and at the same time I am in delight at being able to listen to tomorrow Handel’s early (1707) oratorio Il Trionfo del Tempo tomorrow at the Chan. The performance is part of Early Music Vancouver’s 2014 Vancouver Early Music Festival and features our very own Pacific Baroque Orchestra. I grieve because my mother never go to listen to all the performances of music that she only saw as sheet music. Developments in science and technology has given us the ability to look on something as complex as the human body and other forms of life, and view its basic components to better understand how it works. We can now see cells, molecules, and even atoms. From those basic "building blocks" we can see how we are put together. Yet, with that, we still don't know how life truly begins. We have no idea how these vessels contain a soul. To me, Bach has put the mystery of life behind him. Years ahead of his time, he has translated cells and sequenced DNA into a score, and in every performance once can sense a soul. In his pursuit to glorify God and his invention, Bach has reproduced life. Despite my devotion to what Bach has achieved, I feel Handel points out the folly in this. Why marvel over the achievement of an opposable thumb if you never use it to pick a flower? In Handel's music, there is a focus on using our God-given senses to experience and enjoy the rest of his creation. There's no pressure to explore anything other than the wonder and beauty that is around us. His music is extroverted and profound in its simplicity. I can vibe with that. It forces me to not focus on the journey, but instead just to enjoy a moment. I guess what I'm trying to say is, whereas Bach shows humanity in design, Handel shows humanity in execution." I am looking forward to tomorrow’s concert to get some more of that exquisite humanity. My mother will be with me in spirit and both of us will smile.